Don’t let the size fool you… they pack a punch. 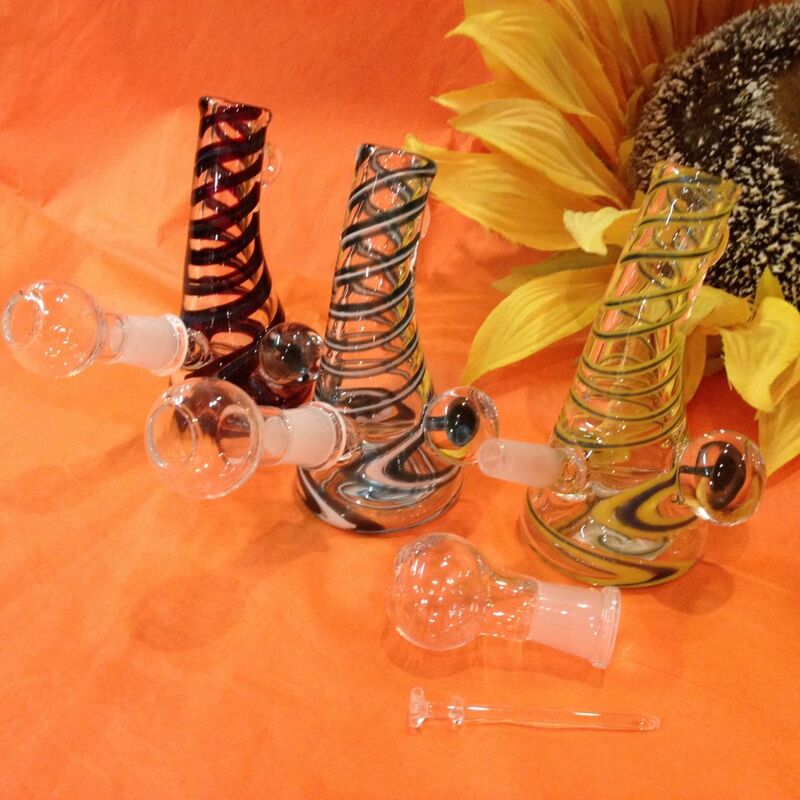 Great as an affordable yet unique rig to gift a friend or to add to your own collection! Perfect for those outdoor smoking sessions when you’d rather leave your prize rig inside (pun intended). 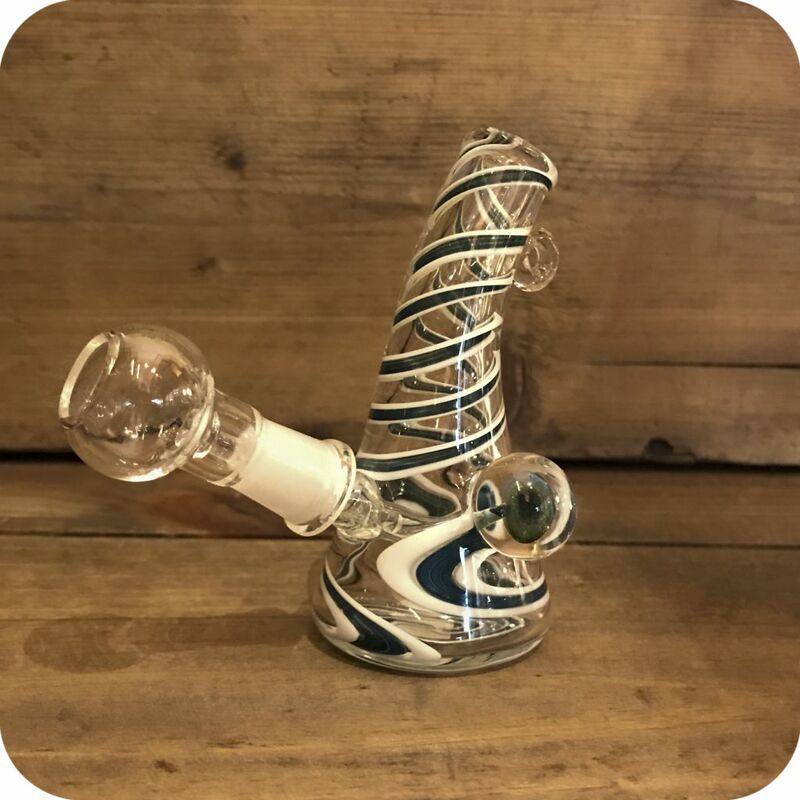 At 3.5 inches in height and 3.5 inches in width (including the horizontal rig setup), this pipe can easily fit in the palm of your hand. 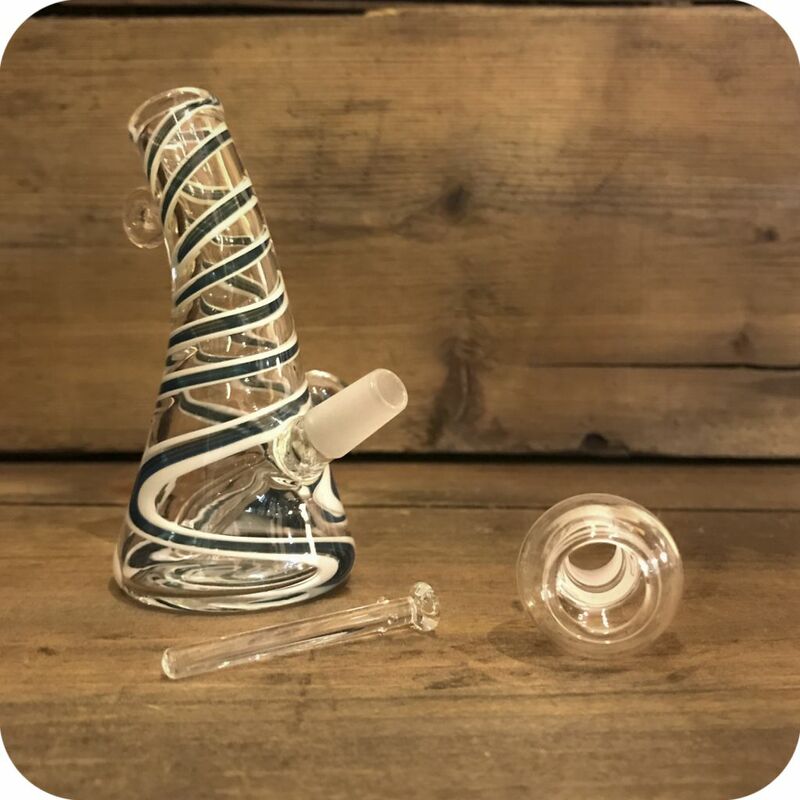 It has the classic water pipe beaker style with a twist — the top bends backwards, away from the rig setup, to keep your face a little further away from the flaming torch. There is also a small glass loop near the top of the piece and a large glass ball on its side near the bottom, featuring a colorful glass design inside. 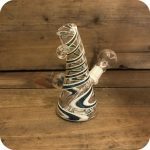 The entire rig is decorated with white and colored stripes that wrap around the piece in a whimsical fashion. 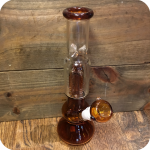 The rig setup itself is simple: a 10mm male piece accommodates a small glass nail and is covered by a glass dome. 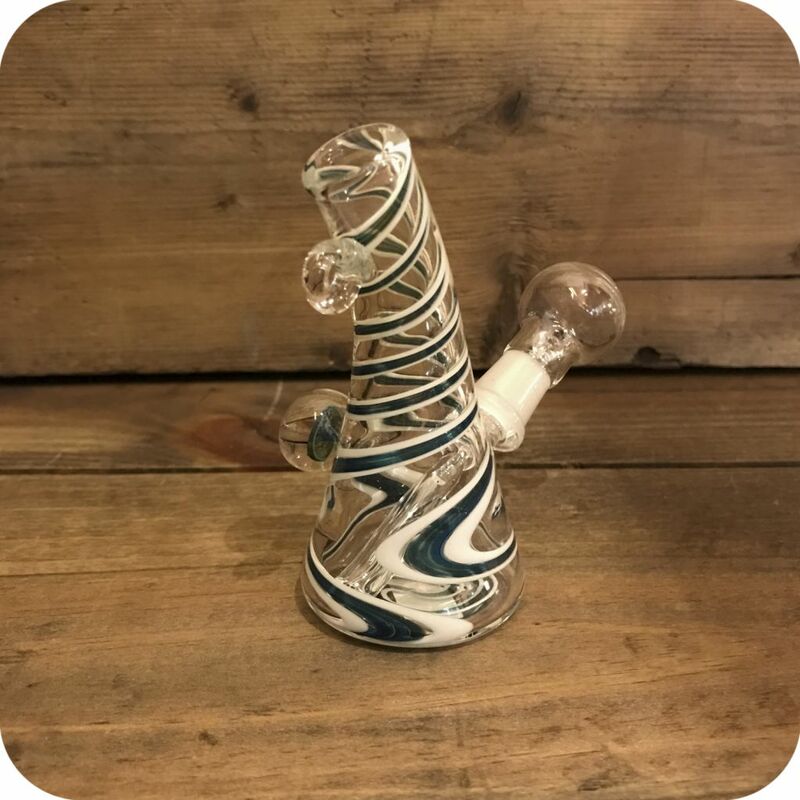 This rig is simple, colorful, and the perfect addition for anyone looking to expand their rig collection with something much smaller and inexpensive! Tags: Brooklyn, brooklyn glass, brooklyn smoke shop, bushwick, bushwick head shop, bushwick smoke shop, concentrate, glass pipe, glass shop, handheld, heady glass, miniature, new york, new york city, new york city headshop, new york city smoke shop, pipe, pipes, rig, sunflower, Sunflower Glass Co, Sunflower Glass Company, sunflower pipes, water pipe, water pipe rig, williamsburg, williamsburg head shop, williamsburg smoke shop.